Welcome to HomeBattingCages.com! HomeBattingCages.com is owned and operated by Nedoo Sports, a fully licensed sporting goods company, established in 1999. We have a full time staff that is available by phone to help answer any questions that you might have. 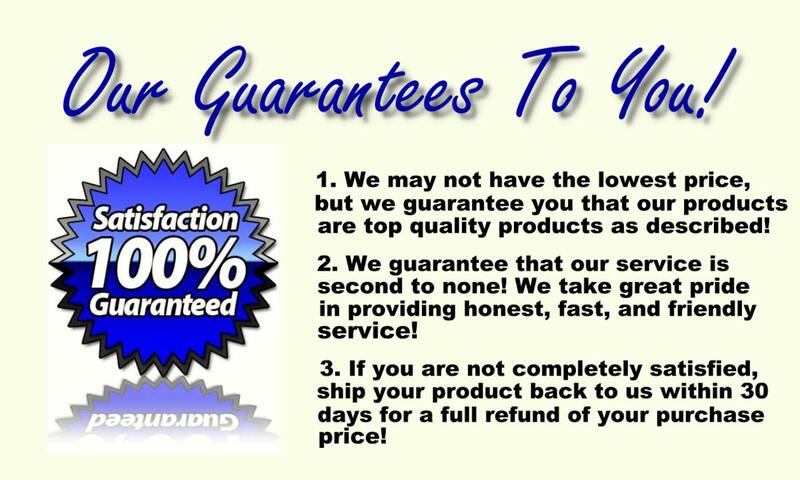 Click on the image below to see our company guarantee to you! Please do not hesitate to call, Trey or Bill, at 1-877-431-4487, toll free. Our office hours are 8:00 to 5:00 CST. You may also order securely on line at CoachesBest.com or Baseball2u.com. Home Batting Cages are a valuable investment and one of the best ways to raise your player's or team's batting average. 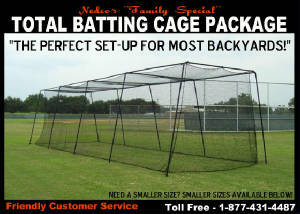 Our company specializes in batting cages and nets for home and backyard use. Our best "Home Batting Cage" comes in a ready-to-assemble "Net and Frame" package that save you time, money, and effort by providing you with a complete package at one low discount price. We sell sets and screens of all sizes and types. You can rely on our staff to provide you with friendly service and addional savings on shipping cost. We also sell to schools, teams, and instructions. Call our customer service staff, toll free, at 1-877-431-4487. Our hours are 8:00 to 5:00 CST, M-F. If you have questions or need assistance, call Trey or Bill, now. They will gladly help you in any way they can. Visit Our Batting Cage Buyer's Blog. The PE product offers our customers the best price and performance for the dollar! Our nets feature braided mesh. Braided mesh absorbs ball contact over a larger area, thus prolonging the life of the netting. Are your shopping for a net only? We sell nets without the frame also. Nedco Sports - "Helping Hitters Improve Since 1999"